Join us in Berlin, Germany. 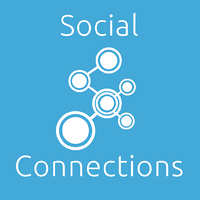 for Social Connections, the international IBM Connections and Social business user group running now for its 14th event. Our focus in Berlin will be our amazing solution for Identity Management and Access Governance. Take control of the user lifecycle: from getting ready for the move to IBM Connections cloud, through on-boarding and all the way to automated user management. There is no need to manually add or update users, cope with name changes, password resets and all the other IT tickets that go along with the user lifecycle. BCC AdminTool for Connections Cloud can cope with all of these and keep those systems in sync, regardless of whether the user record is stored in IBM Domino, MS Active Directory, Azure Active Directory, IBM Connections Cloud or any other directory accessible via LDAP. Whilst all this can all seem daunting, our experienced Services consultants are available and willing to share their extensive knowlege and best practise with you to make your project a success. We hope you are able to join us on the 16th and 17th of October, 2018 for what we are hoping to be yet another memorable event. The event will be held in Spreespeicher, which is located in a historic granary in the Eastern Harbour. We will also be giving away an awesome prize at the event, so make sure you stop by the booth and drop your business card into our prize draw for your chance to win.